I made this chicken recipe the other night and had to share it with you guys. I’m not really sure where the recipe originated but it was passed on to me by my brother. I made a few changes of my own and it turned out absolutely delicious. 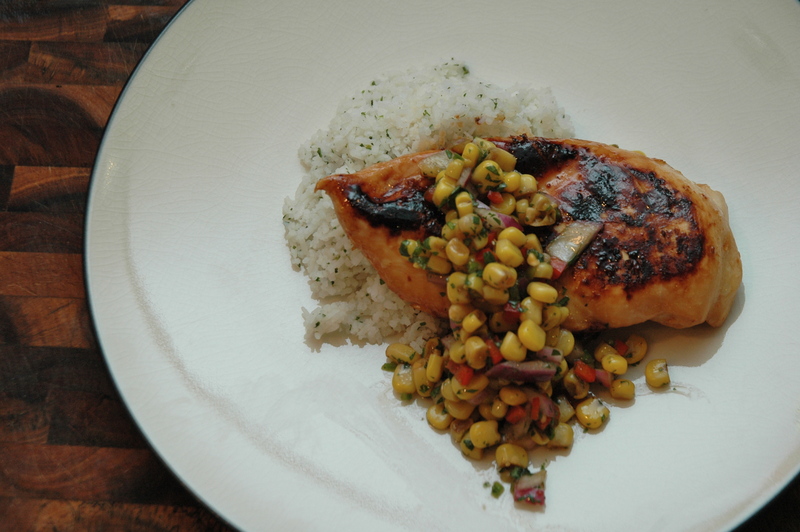 The balsamic vinegar in the corn relish pairs beautifully with the soy lime marinated chicken and cilantro rice. I didn’t plan on documenting this meal so I don’t have pics for every step, but once I starting smelling all of the amazing flavors in the dish I had to post it. Give it a whirl. It’s healthy, easy and delicious! To make the marinade combine the soy sauce and the next 5 ingredients, through the honey, in a medium bowl and whisk until well combined. 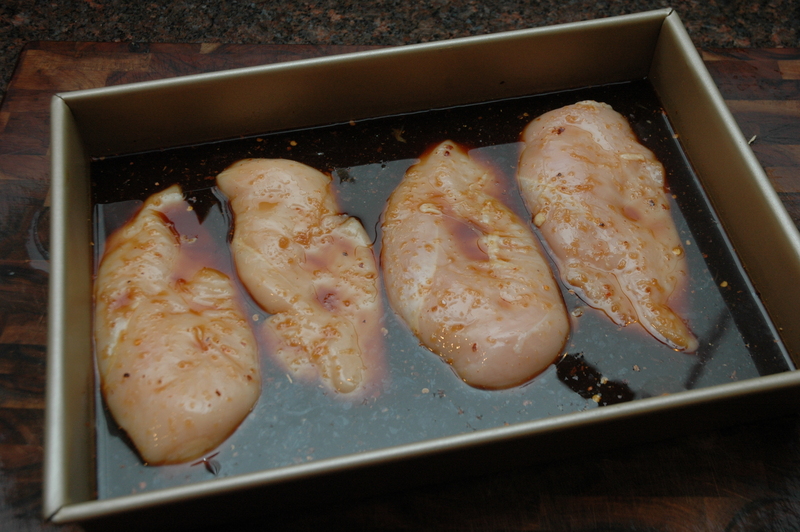 Trim the chicken of any fat and place in a large baking dish. Pour the marinade over the chicken and refrigerate for 30 minutes to an hour. While the chicken is marinating combine the rice, water and chicken broth in your rice cooker or sauce pan and cook according to package directions. 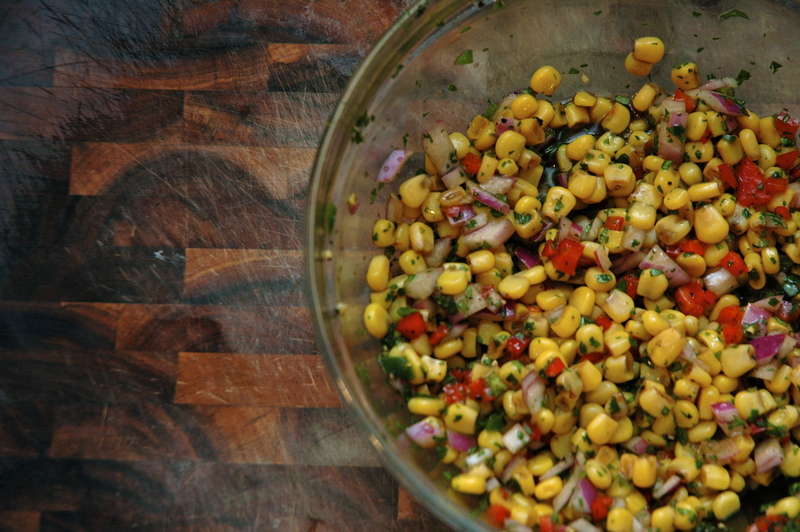 In a medium bowl mix all of the ingredients for the corn relish together and season with the salt and pepper to taste. 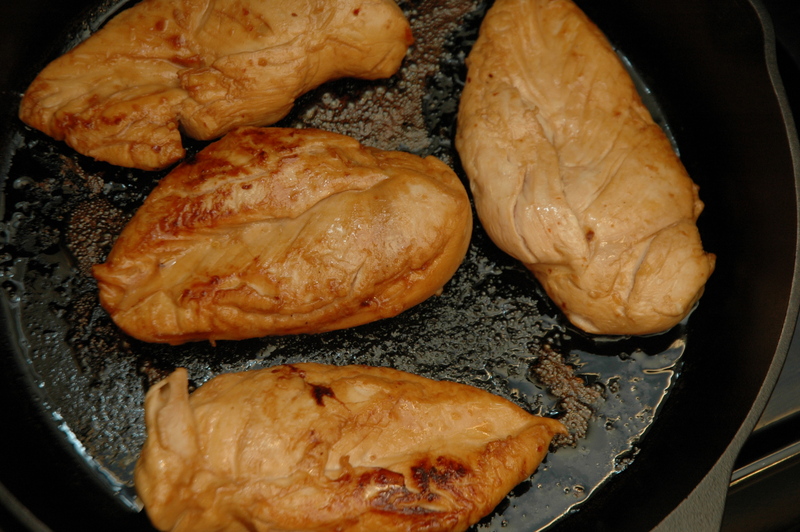 Heat the remaining tablespoon of oil in a large cast iron skillet over medium high heat and add the chicken. Cook until completely cooked through, around 4-6 minutes on each side. To plate place a mound of rice in the center of the plate and top with the chicken. Serve the corn relish on top of the chicken. I served a Caesar salad on the side to round out the entire meal. Pair a light and fruity Pinot Noir to bring out all of the amazing flavors. I love balsamic vinegar and am always looking for new ways to use it. Thanks for sharing!